inkingpink: Pumpkin Mojo and a Gypsy Giveaway! Believe it or not these papers are from Echo Parks Happy Halloween line, I just adore the pumpkin print and hello its perfect for fall! That just goes to show ya' that you have to be willing to open up to all of the possibilities of your papers, stamps and cartridges, they are far more versatile than we think at first! OK OK I know you just want the dish on the GYPSY GIVEAWAY!!! Leave a comment on this post by midnight Wednesday Nov. 24 with a way to contact you. Winner will be announced 10AM Thanksgiving day! Spread the word! Your card is just gorgeous GF I love the whole table setting theme. Your card is gorgeous! I love the warm fall colors! Thanks for the chance to win a Gypsy! Your card is beautiful! The embossing is great. I would love to win a Gypsy as I have yet to buy one but I am hoping I get one from Santa. I am keeping my fingers crossed!! I love your card! It is totally awesome! Thanks for the chance to win. The colors are beautiful...Love your card..And thanks for the chance to win! My fingers and toes are crossed! This is a beautiful card!! THe colors are fantastic and great job with the sketch!!! Thanks for the chance to win! Cute card, and my fingers are definitely crossed!!! Heehee, I love your reasoning for embellishing the inside of the card - I'm right there with ya! Wonderful card, thanks for the inspiration!! Great job on your card Shantaie!! I love all the embossing!! I love the colours. It would actually display very well on my mantel. Beautiful as always. Keeping my fingers, toes and eyes crossed. Hope to be the big winner! Happy Thanksgiving and thanks for allowing me to view your blog everyday. Stunning, but your cards always are....I think this one resembles a thanksgiving dinner place- setting. Makes me want to break out the fancy placemats! This is beautiful. The colors caught me right away. I never think of embellishing the inside, but I am like you, I always write a novel. Fab idea. Love it. Winning a gypsy would be a great thanksgiving treat. Oh WOW! I love your card! Thanks for reminding me about the borders that are already on the cartridges. Especially THANKS for the chance to win a Gypsy! I always look forward to getting your updates via email. What a lovely Thanksgiving card. Thanks for the chance to win. Love this card. The colors are so Fall!!!! Thank you for a chance to win the GYPSY! Love your card, great job, looking forward to more of your creative creations in the near future..thanks for a chance to win a Gypsy..keep up the great work. I love your card. I especially like the inside of the card. Thanks for sharing. I really like all the embossing you did on the various pieces. It looks great! I wish I had seen it before I made my Thanksgiving card. GREAT JOB!!! I love this card. Nice details and very nicely decorated. Thanks for the chance to win the Gypsy! I love your card, it is beautiful. Thanks so much for sharing and for the chance to win a GYpsy. LOVE your card and your blog! Thank you for sharing your talents! I love the pumpkin on that card and think that your turkey card for Mr. Wonderful is absolutely fabulous. Thanks for sharing and for the opportunity to win the Gypsy. Wow; that card is beautiful. Thanks for sharing. I'd love a Gypsy...so fingers and ankles are crossed. I LOVE this card, it's one of my favorites from your blog. I'm already a follower. Great job on the card. It would be wonderful to win the Gypsy. Beautiful card. Would love to win a Gypsy since I don't own one yet. Thanks for a great giveaway! What a great card! I LOVE the embellished pumpkin and the leaves on the inside. The colors are GORGEOUS! I would be honored to recieve this card from anyone, it's just beautiful. Shantaie, that card is gorgeous!!! You keep inspiring me to try new things every time I come here - that's why I love your blog. As you've probably figured out, I'm already a regular follower. Thanks for the chance to win the Gypsy; that's a great giveaway! I do have one question about your card - do you emboss the paper before putting it into your Cricut to make the cuts, or vice-versa? Awesome card. After seeing your card, I probably will get the Thanksgiving cartridge. Thanks for sharing your wonderful idea. I adore your pumpkin/Thanksgiving card! I do so love the colors of fall! Thanks for sharing it! Love your Thanksgiving card - need to get my cart. out and make a few. Thaks for the chance to win a Gypsy. I love the leaf border!! That is some designing you did on that card. Wonderful piece! Thanks for the chance to win. Gorgeous card! I would so love to win a Gypsy!!! I've been a follower since the Circle blog launch & I visit your blog every day to see what great new project you have to share with us! You don't disappoint!!! 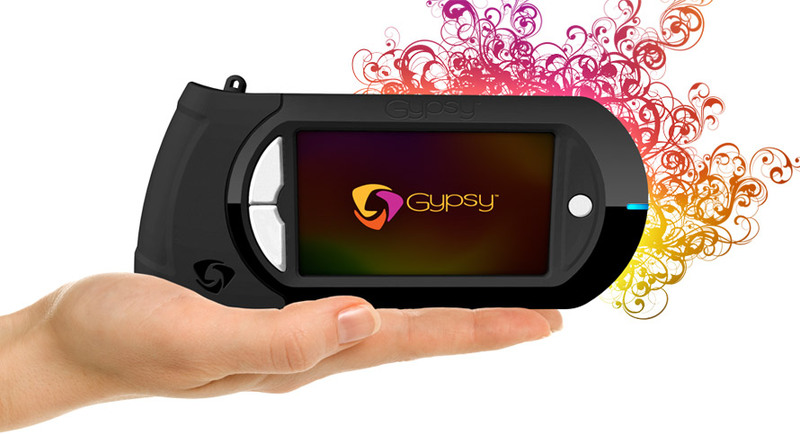 Thanks for the chance to win this awesome Gypsy...I really do have my fingers crossed!!!!! Beautiful card! You give me so many wonderful ideas for future projects!! I love the Echo Park Halloween line for fall projects. I also made a pumpkin board book using part of that line. I am dying for a gypsy so thanks for the chance to win one!! Love the card an crossing my fingers for the gypsy giveaway! Hee Hee!! Thanks the chance to win!! That's a really beautiful card. I love it!!! Thank you for the chance to win the Gypsy! I really love the layered card you shared! I am now a follower of your cute little blog and plan to acquire more inspiration!!! I would love to win the Gypsy so I can bless a friend of mine! Thanks for the inspired card--Now I have to put that Thanksgiving cartridge on my list! I would love to win the Gypsy, as I don't have one yet, and I know Santa wants to put one under my tree this Christmas! Thanks for the chance to win! Wow...Your card is beautiful! Thank you for a chance to win such a wonderful prize! I am so glad I found this site! Your creations are beautiful! What a generous giveaway - so nice of you to offer. Love the card - I need to remember to emboss items more often before putting them on cards - super idea!! Fabulous card, the pumpkin embossing just makes the card. Hi I am already a follower. I thought I had entered but checked the post and did not see my name here. I hope you feel better after your procedure. I had many back, shoulder surgery. I still live with the pain. It makes you sick all over to have a bad back. This gypsy would make an awesome Christmas Present for my Granddaugther, thank you soooooooo! much for the chance to win. I love your card. Echo Park papers are one of my favorites. What a marvelous chance to win the Gypsy. I am a follower for quite awhile now. I love the way your card turned out. It was a great use of the papers. Thank you for the opportunity to win. I love your card. I need to get out my cuttlebug and use it more! Thanks for the chance to win a gypsy. Great Card. If I win this Gypsy my little sister will be so happy. Because I will give it to her. What an awesome giveway! I love your blog! Thank you so much!